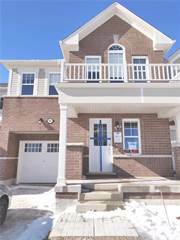 Houses for rent in Whitby, ON are easy to filter and browse through on Point2 Homes. Whether you’re looking for apartments for rent, furnished apartments, condos, single family homes, studio apartments, townhouses or any other rentals, you can get a list of properties based on your needs with just a few clicks. Rental homes in Whitby, ON on Point2 Homes are displayed with important additional information, such as property type, square footage and amenities, and the name and contact information of the real estate agent handling the property. You can also learn whether there have been significant price drops in the rent during the last 6 months. Whether you’re looking for rental apartments or generally homes for rent in Whitby, ON, on Point2 Homes you can tell whether you’re close to the amenities you need at a glance, by using the map view. And if you know exactly where you want your apartment to be in Whitby, ON, you can simply use the polygon or radius tools to draw around the area you’re interested in, and Point2 Homes will instantly show you all the rental homes there. How much is rent in Whitby, ON? There are two ways in which you can find apartments for rent based on price on Point2 Homes: you can either set the minimum and maximum price range yourself, or you can simply sort all the available houses for rent based on price, if you want to browse a wider range of rental homes. Once you’ve found a rental you’re interested in, all you have to do to get in touch with the listing agent is check the listing detail page – all the contact information you need will be there. 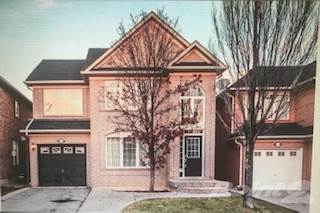 If you’d rather start with expert advice, getting in touch with professional agents in Whitby, ON is very simple on Point2 Homes. Simply go to Tools in the menu and find an agent. 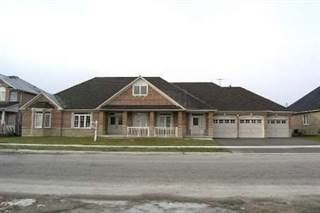 You get a list of featured agents in Whitby, ON, all knowledgeable and eager to help. Whitby is located near the communities of Ajax, Oshawa, Markham, and Pickering in the southeastern portion of the province. The city spans over 146 square kilometres and has a population of over 128,000 people. Whitby’s southern section, along Lake Ontario, has an urban feel, with large buildings and plenty of shops and businesses, while the city’s northern section tends to be more rural. Public transportation helps residents get around town, and connects them to other communities nearby. Homes tend to be slightly more expensive in Whitby than in similar nearby communities, with the average house prices ranging from $500,000 to $700,000. 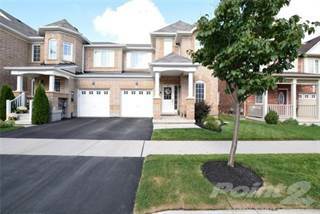 Newer built, higher priced single-family homes on large lots make up the majority of Whitby’s northern and central sections, along with some retail commercial spaces.The central section also offers newer built condo and row house options. In the southern section, there is a mix of newer and older single-family homes, with older homes being slightly more affordable. There are also numerous commercial options in this section. With about a 1.5% vacancy rate over the past few years, Whitby’s rental market is quite tight. Vacancy rates for bachelor and two-bedroom apartments have increased slightly, while the rates for one-bedroom and three-bedroom (or more) apartments have decreased. Smaller apartment buildings in Whitby tend to have higher vacancy rates, likely because they do not offer as many amenities as larger buildings do. Average rent costs in Whitby are around $870 for a bachelor apartment, $970 for a one-bedroom apartment, $1,100 for a two-bedroom apartment, and $1,200 for a three-bedroom (or more) apartment. Rent costs have increased slightly over the past few years for all apartment types. Whitby’s main employment sectors include advanced manufacturing, clean technology, government services, health and medicine, information and communications technology, professional and technical services, and logistics and distribution.Manufacturing includes automotive, energy-related, and metal products, and companies operating in Whitby that fall into this category include Gerdau Ameristeel, Inteva, Manufacturing Technology Centre, and ABB. Government services operating in Whitby include Service Ontario, the Town of Whitby, and the Regional Municipality of Durham, as well as police services like the Durham Regional Police and Ontario Provincial Police. Whitby’s unemployment rate is normally around 5% to 6%, which is on par with the national rate. Durham Region Transit provides public bus transportation in the city. About 10 routes service various areas of Whitby, some of which connect to other routes travelling to nearby communities such as Pickering, Ajax, Oshawa, and Clarington. The Whitby GO Station is a major transportation hub, and residents can access regular bus services there, as well as services provided by GO Transit (bus or train) and VIA Rail (train). These options provide access to Toronto and other nearby communities. The Durham District School Board, Durham Catholic District School Board, and Conseil scolaire district catholique centre-sud operate primary and secondary schools in the city. Schools in Whitby include Fallingbrook Public School, Whitby Shores Public School, Pringle Creek Public School, Brooklin Village Public School, Jack Miner Public School, Brooklin High School, Henry Street High School, St. Luke the Evangelist Catholic School, St. Paul Catholic School, All Saints Catholic Secondary School, and École élémentaire catholique Jean-Paul II. Private school options are also available. Academy of Learning College, Liaison College (Durham Region), and Durham College (Whitby campus) are all post-secondary options in Whitby. Residents can also travel just outside of the city to access Herzing College, triOS College, Trillium College, Trent University, and CDI College. Heber Down Conservation Area is a 284-hectare nature preserve that offers hiking trails for people of all abilities, fishing at Lynde Creek or Devil’s Den Pond, picnicking at one of many sheltered sites, and wildlife viewing / birdwatching. Events are sometimes held at the conservation area, such as the Purple Woods Maple Syrup Festival. Station Gallery is a public art gallery featuring a variety of exhibitions showcasing work by numerous local artists. Works include prints, paintings, sculpture, and mixed-media, and the gallery has a permanent collection, as well as travelling exhibitions. The gallery also offers art classes for people of all ages, as well as school programs. Admission is free. 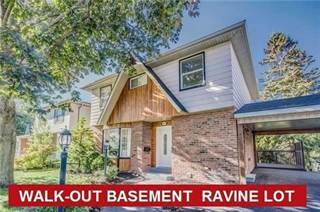 Read more about living in Whitby, ON.